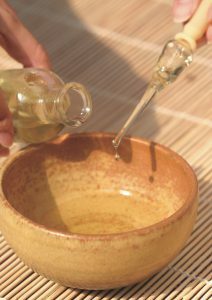 Dilution cannot be overemphasized when it comes to all essential oils, but is especially important for cinnamon bark and cassia. A little really does go a long way and if you proceed with caution, you may be able to benefit from some of the amazing properties of these oils for longer, and with no adverse reaction. We provide essential oil dilution charts on the SunRose Aromatics website, which we encourage you to study and use as a guideline. The best thing you can do is read as much about aromatherapy and educate yourself as much as possible so that you know you’re using essential oils safely.